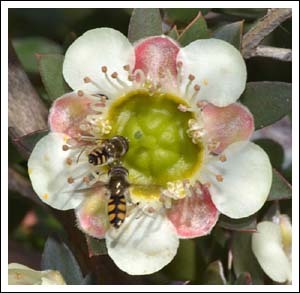 Callistemons are some of the best shrubs to have in a garden, reliable, showy in flower, and great suppliers of nectar and pollen for birds and insects alike. 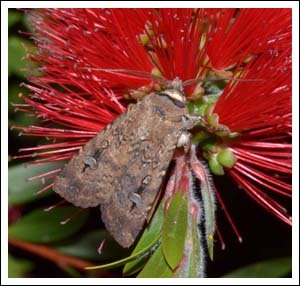 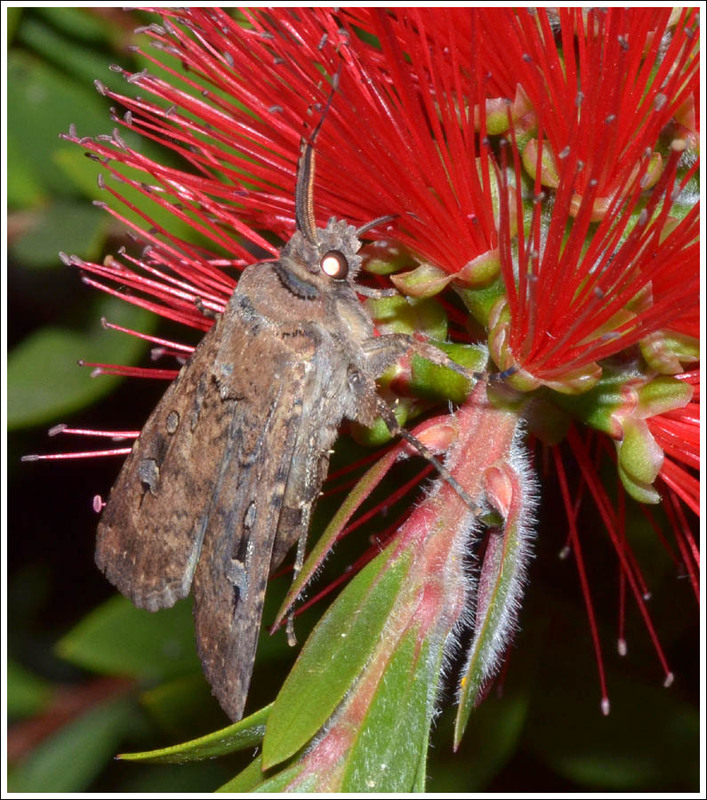 Bogong moths are very partial to callistemon nectar, using it to build up fat reserves to tide them over their summer aestivation in the shelter of the mountain caves and rocky outcrops. 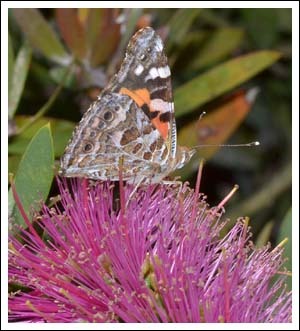 Butterflies too like callistemons, in this case Painted Ladies on the mauve callistemon that grows at the Avon River Channel. 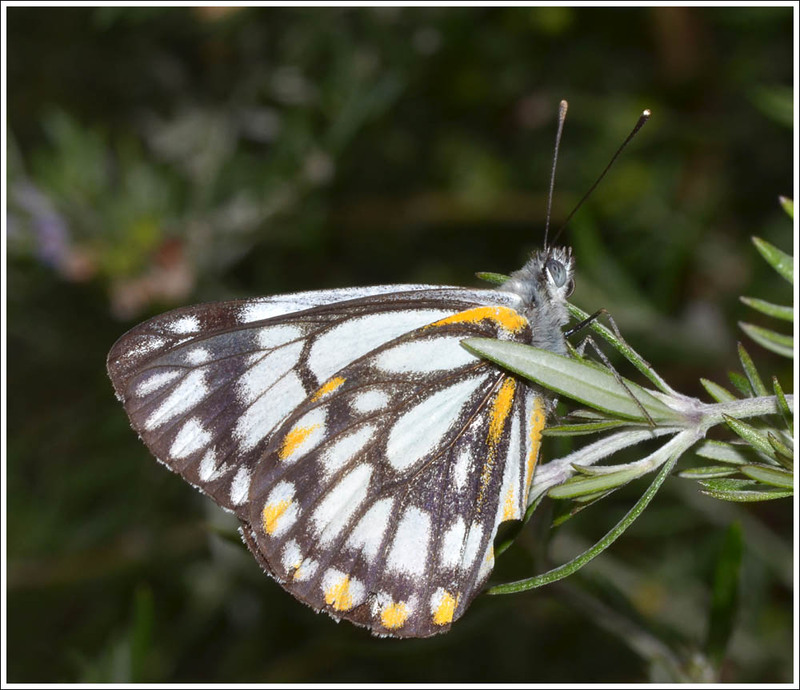 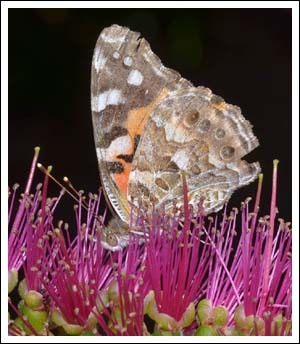 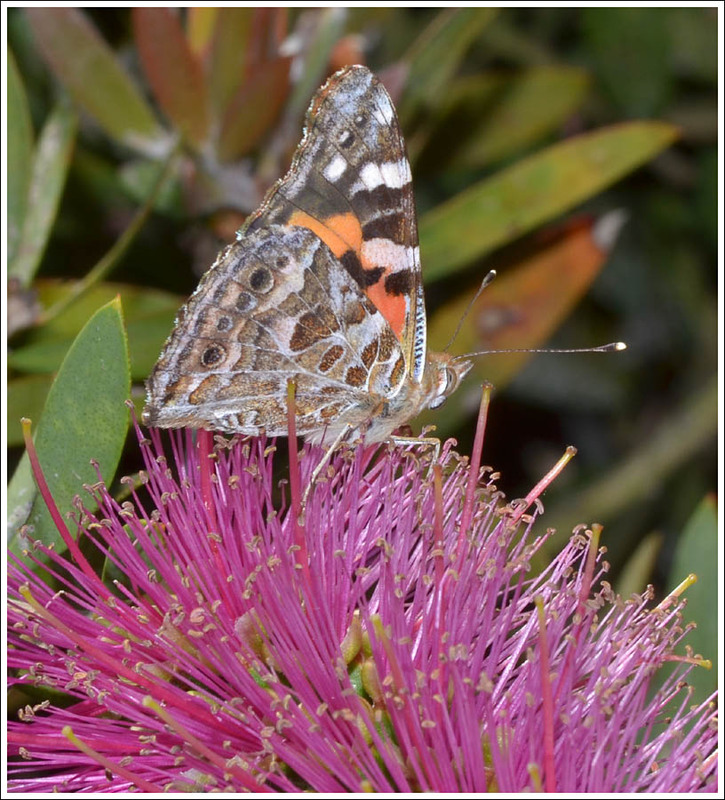 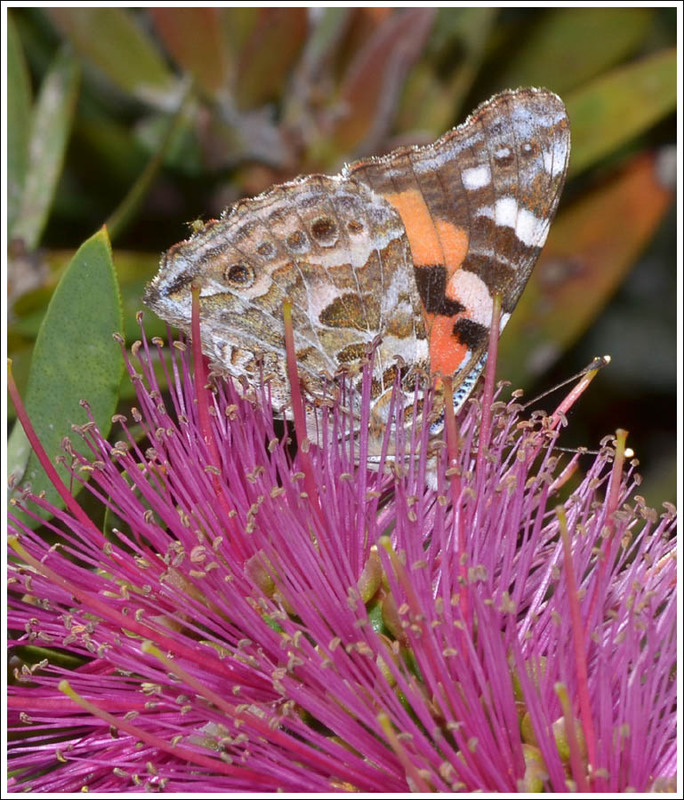 The Caper White butterfly seems to be only a rare visitor to this area, one has just appeared nectaring on a callistemon where it proved too elusive for the camera, but perseverance paid off and it was photographed clinging to a westringia in strong winds. 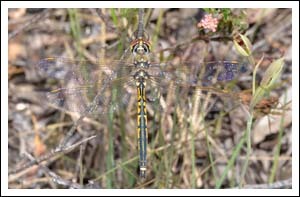 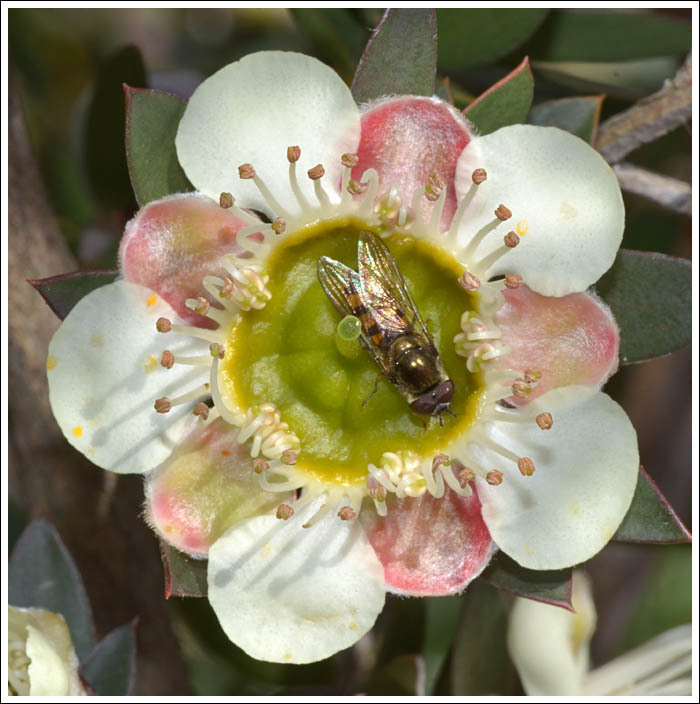 Insects visit many other native flowers for nectar and pollen, the hoverflies that are so numerous at the moment are feasting on the Leptospermum macrocarpum. 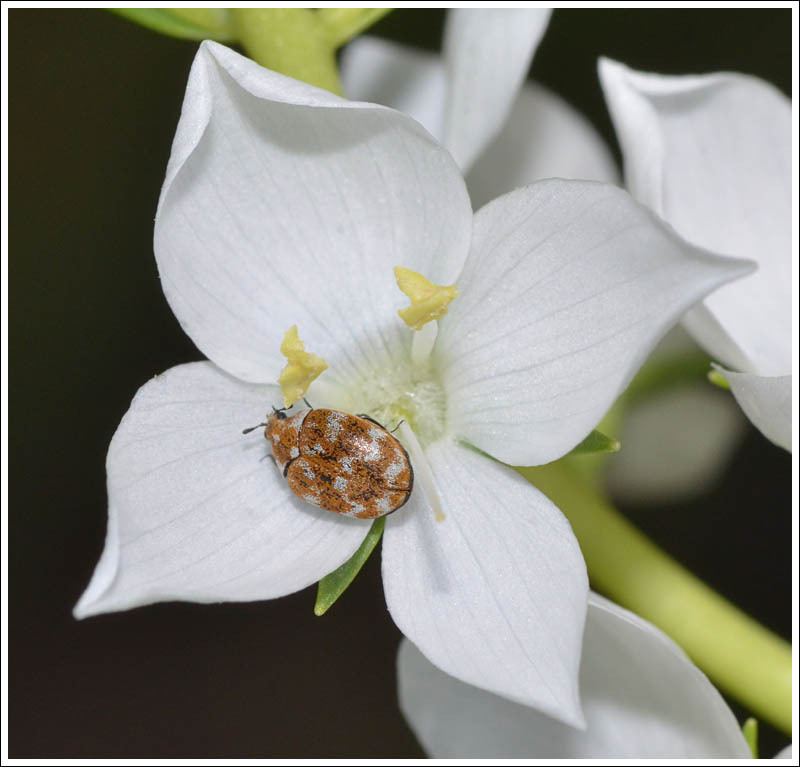 The white Digger’s Speedwell is popular too, in this case with a small pollen beetle. 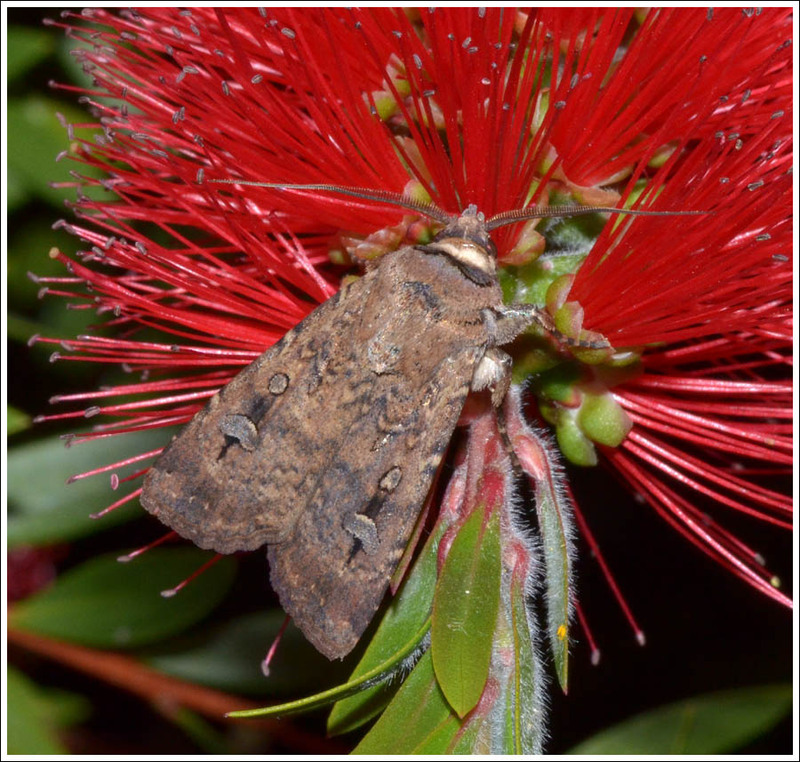 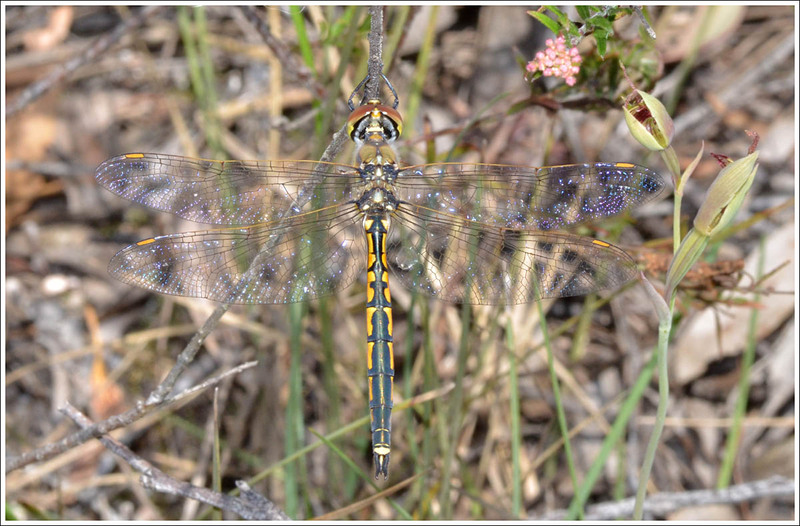 A nice Australian Admiral has been visiting the callistemons but has also proved too elusive, so a photo from the archives will fill the gap for now. Nectaring on Grevillea Honey Gem. 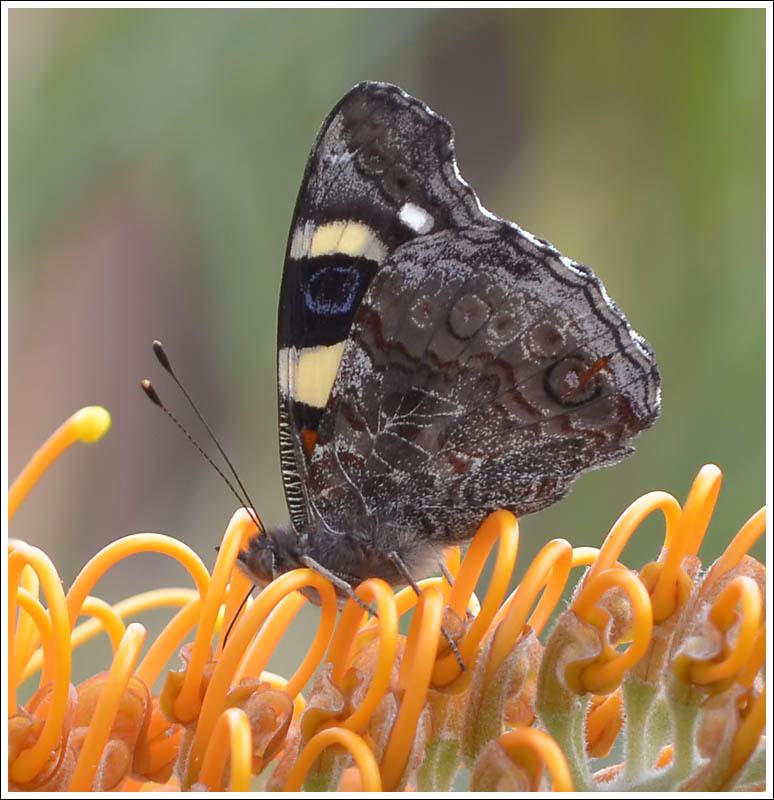 Posted on October 31, 2016 by TricarpaPosted in General Nature. Springtime in the Box-Ironbark Bush #2. 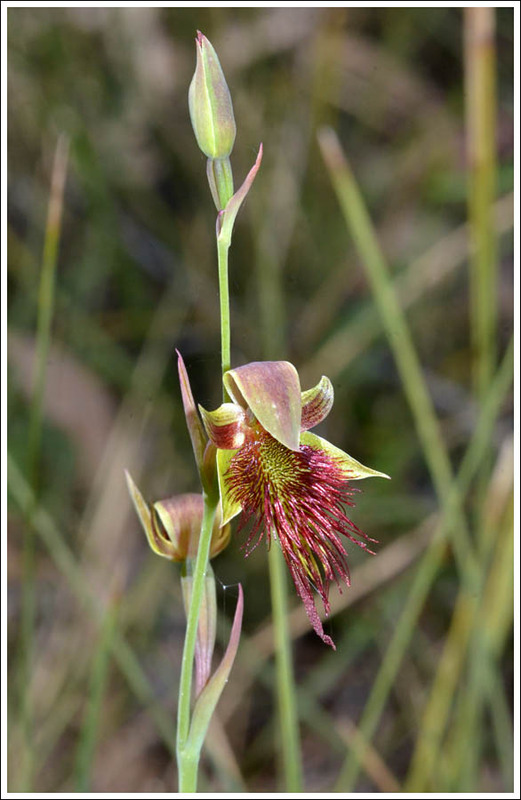 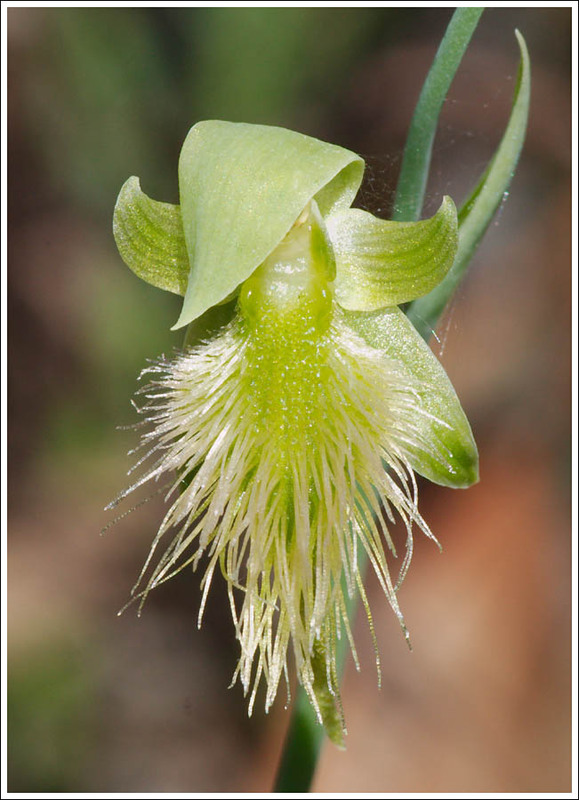 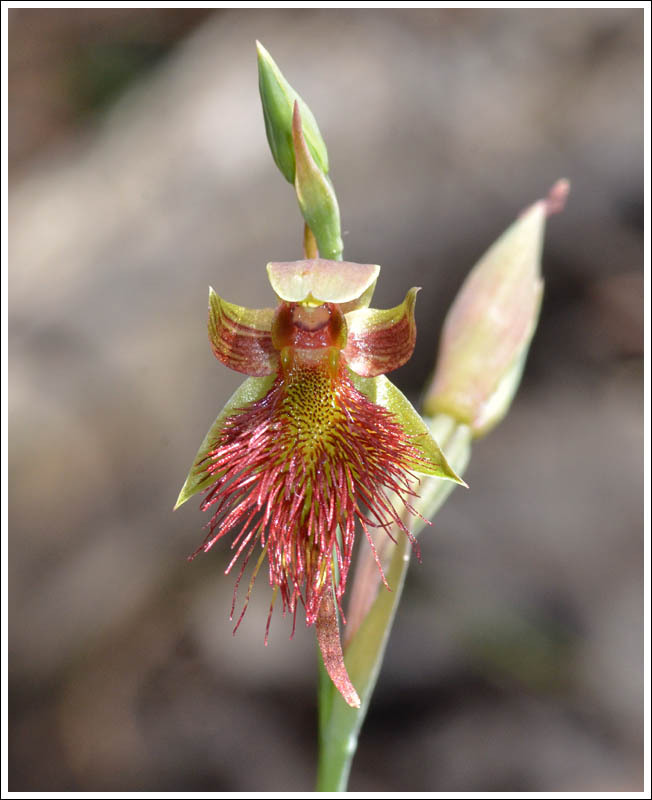 Spring in the bush block has turned out to be very good for terrestrial orchids, and beard-orchids are showing in numbers at the moment. 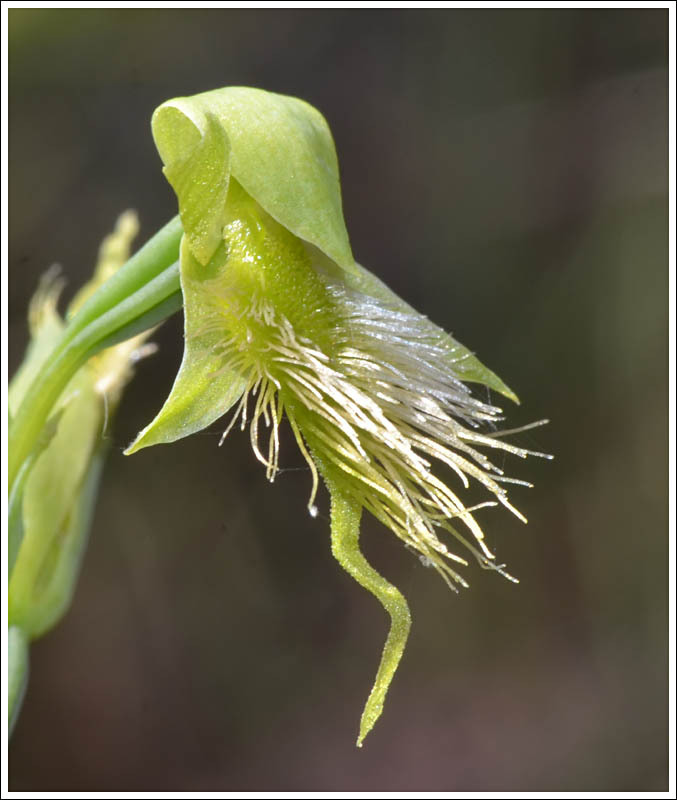 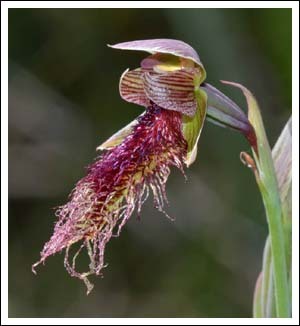 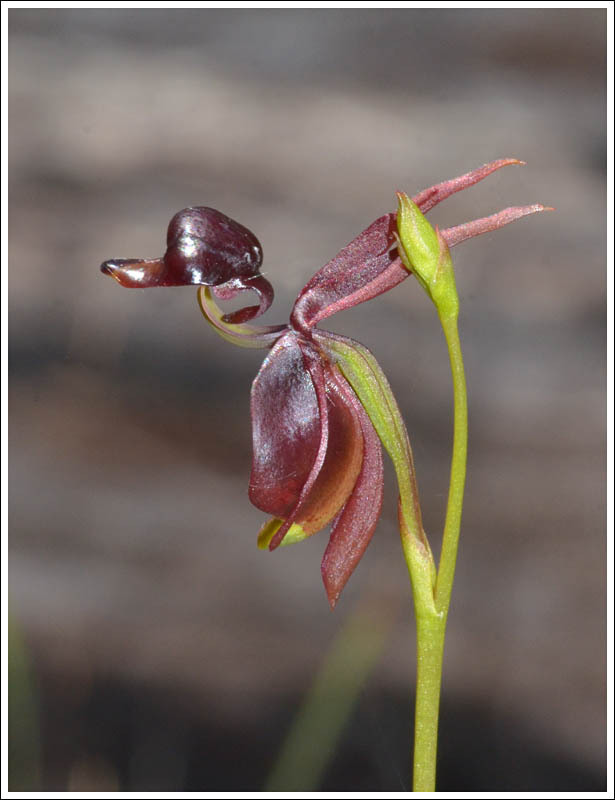 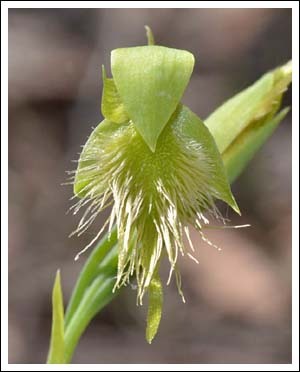 Two species are in flower, the Red Beard-orchid, Calochilus paludosus, and the Purple or Brown Beard-orchid, Calochilus platychilus. 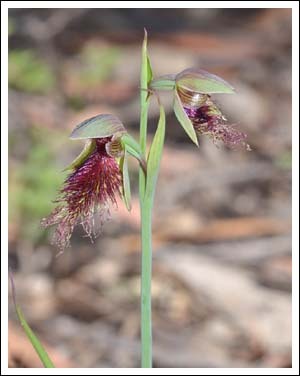 The latter was known as C. robertsonii but the Gippsland form is at the moment going under C. platychilus. 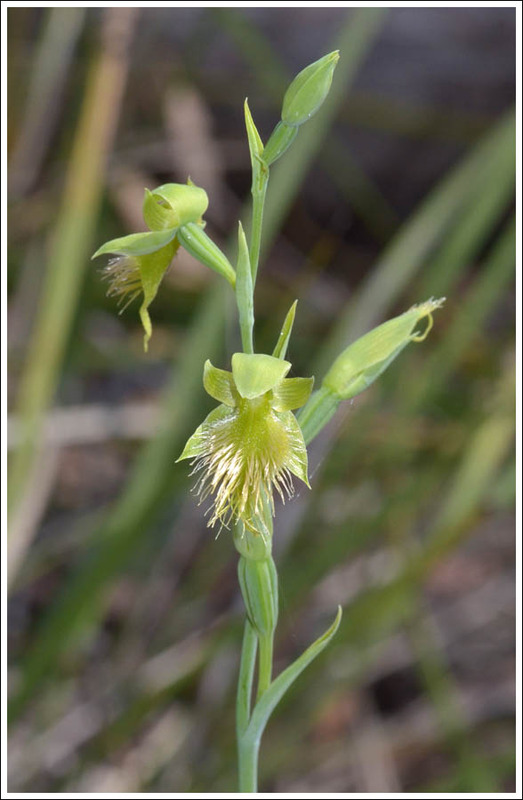 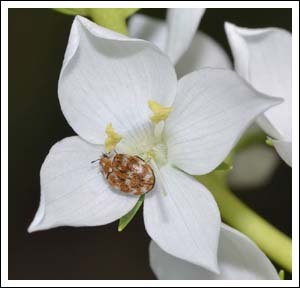 More information is available in the excellent field guide Orchids of East Gippsland, published by the Bairnsdale and District Field Naturalists Club Inc. C. paludosus has two colour forms, red, and white, and both are very evident in the bush at the moment. The Flying Ducks, Caleana major are also very numerous, and always good for a photo. 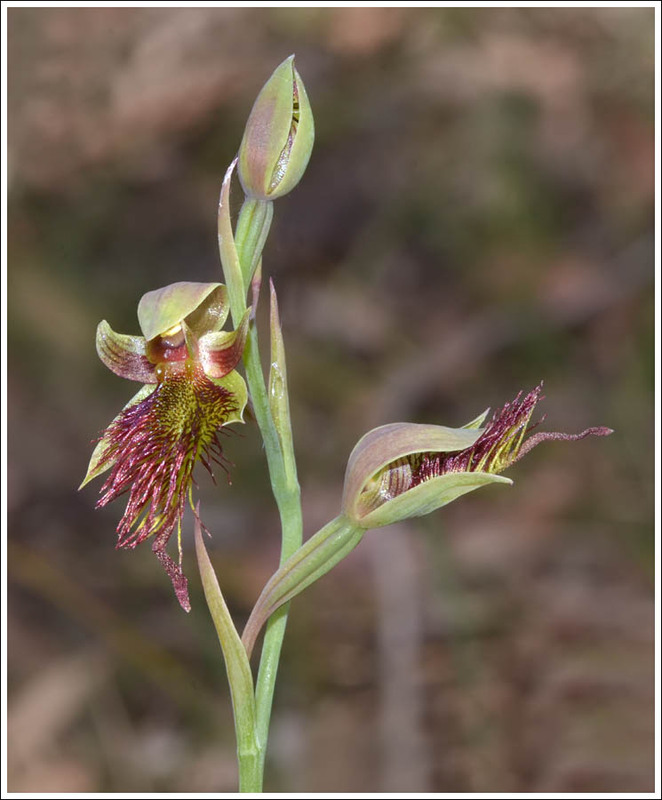 As the weather gradually warms, insect life is becoming more noticeable, and this Tau Emerald, Hemicordulia tau, one of the first species to appear, perched briefly beside a beard-orchid. 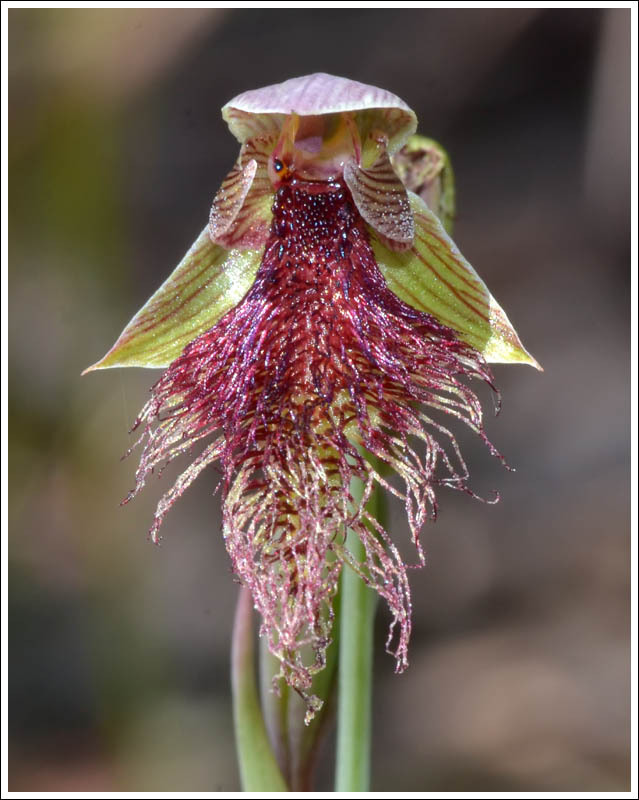 Posted on October 26, 2016 by TricarpaPosted in General Nature.